Every Christian Writing to 130 C.E. The twenty-seven books of the New Testament were not the only writings produced by early Christians. Nor were they the only ones to be accepted, at one time or another, as sacred Scripture. Unfortunately, nearly all the other early Christian writings have been lost or destroyed. But approximately twenty-five books written at about the same time as the New Testament have survived–books that reveal the rich diversity of early Christian views about God, Jesus, the world, salvation, ethics, and ritual practice. 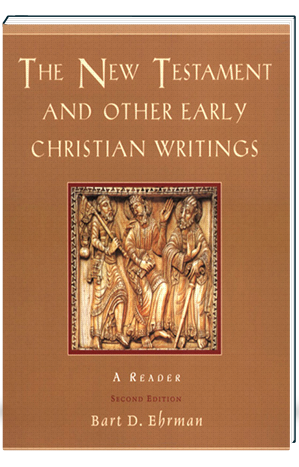 This reader presents, for the first time in one volume, every Christian writing known to have been produced during the first hundred years of the church (30-130 C.E.). In addition to the New Testament itself, it includes other, noncanonical Gospels, Acts, Epistles, and Apocalypses, as well as additional important writings, such as those of the Apostolic Fathers. Each text is provided in an up-to-date and readable translation (including the NRSV for the New Testament), and introduced with a succinct and incisive discussion of its author, date of composition, and overarching themes. This second edition adds The Martyrdom of Polycarp, an important text that will enhance the collection’s utility in the classroom. It also features Ehrman’s new, accessible translations of many of the noncanonical works and provides updated introductions that incorporate the most recent scholarship. With an opening overview that shows how the canon of the New Testament came to be formulated–the process by which some Christian books came to be regarded as sacred Scripture whereas others came to be excluded–this accessible reader will meet the needs of students, scholars, and general readers alike. 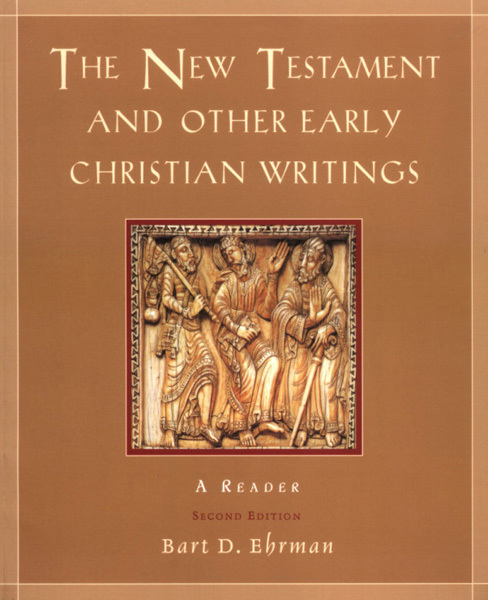 An ideal primary text for courses in the New Testament, Christian Origins, and Early Church History, it can be used in conjunction with its companion volume, the author’s The New Testament: A Historical Introduction to the Early Christian Writings, 3/e (OUP, 2003).